c h i v e s . . .
Don't forget that chive flowers are also edible. Their gorgeous pom-pom florets make a colourful addition to salads and stir fries! With a mild onion flavour, the leaves are cylindrical and hollow. 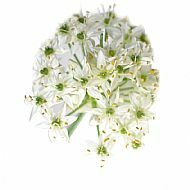 Garlic chive flowers are a delicate white and are also edible. They have a surprisingly sweet rose-like scent. The leaves are flat and add a gentle hint of garlic flavouring. Produces masses of beautiful, edible flowers. 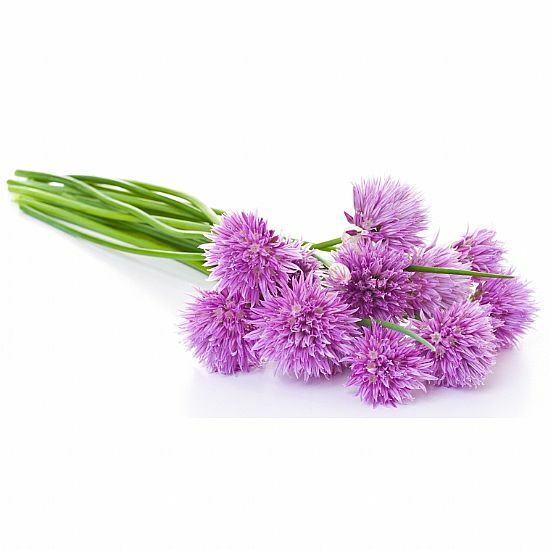 Chives are hardy, perennial herbs and, being a member of the onion family, both the leaves and pom-pom flowers will add a delicious mild onion or garlic flavour to a variety of savoury dishes. Sow: indoors from March, very thinly, on the surface of compost. Cover lightly with a fine layer of compost and keep moist. 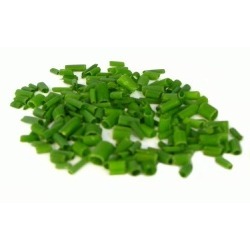 Chive seeds can also be sown outdoors from late April/early May, 0.5cm deep in prepared and fertile soil. They also look attractive planted in containers, on their own or as part of a mixed pot of herbs. 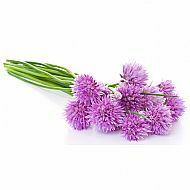 Chives are not fussy and will happily grow in sun or partial shade. 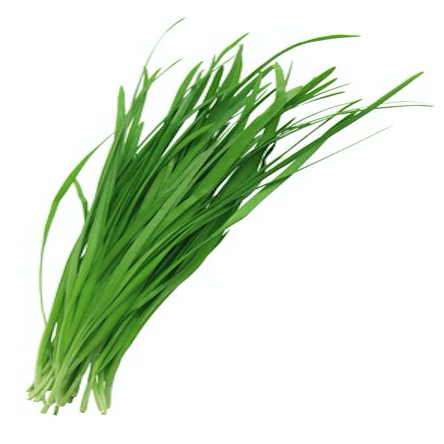 Aftercare: Once established, the only thing chives will need is some water during dry spells. Plants will die back from autumn and re-emerge the following spring. Harvest: lightly in the first year, then, from the second year, as and when you need them. Tip: pot up a chive plant and bring indoors for harvesting throughout the winter. 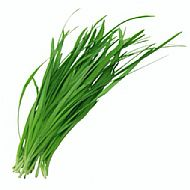 Chives are used frequently as garnishes, just rinse and snip over anything from potato salad and fish dishes to soup and mashed potato. Flowers are also edible and their florets make a colourful addition to salads and stir fries.